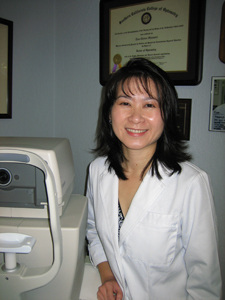 Dr.Shinmori is a graduate of Southern California College of Optometry with over twenty years of experience in all aspects of optometric care, including diagnosis and treatment of vision problems and ocular health. She is clinically licensed in the use of therapeutic and diagnostic ocular medications. She is also certified to perform Corneal Refractive Therapy (CRT), co-manage in the process of cataract surgery, and perform Laser Vision Correction consultations. Dr. Shinmori is a member of the Santa Clara County Optometric Society and the California and American Optometric Associations. She very much enjoys family practice and is experienced in custom contact lens fittings. She also speaks Japanese as a second language. 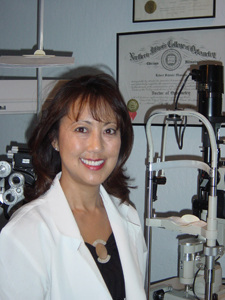 Dr. Tera Nakano is a graduate of the Southern California College of Optometry and has been with our practice since 2000. She is a member of the Santa Clara County Optometric Society and the California and American Optometric Society. She practices full scope optometric care and is licensed in the use of diagnostic and theraputic ocular medications. 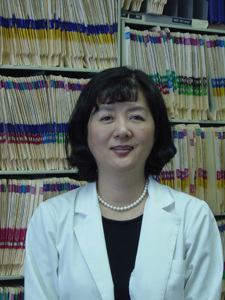 Dr. Hoa Tat is a graduate of Ohio State University School of Optometry and has been practicing since 2000. She is a member of the Santa Clara County Optometric Society and California and American Optometric Associations. She practices full scope optometric care and is licensed in the use of diagnostic and therapeutic ocular medications. 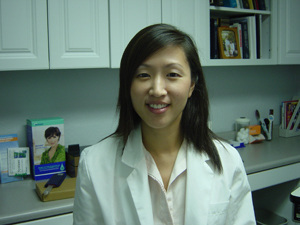 Dr. Esther Kim is a graduate of the New England College of Optometry. Dr. Kim is a member of the Santa Clara County Optometric Society and the California and American Optometric Associations. She practices full scope optometric care and is licensed to prescribe diagnostic and theraputic ocular medications. She also speaks Korean as a second language. Dr. Kristen Oda is a graduate of University California Berkeley School of Optometry and has joined our practice in 2017. She is a member of Santa Clara County Optometric Society and the California Optometric Association. She practices full scope optometric care and is licensed in the use of diagnostic/therapeutic ocular medications and is glaucoma certified. She has previously interned at the San Jose VA, Palo Alto VA and Hayward Wellness Center. She can also perform eye exams in Spanish. During her free time, Dr. Oda loves to spend time with friends and family as well as watch the latest TV shows and movies. Kyoko has been our optician since 2004 and is very knowledgeable about lens materials and helping you select the best frame style for your face. Not only is she very capable with repairing and adjusting frames for your comfort, but she is in charge of frame buying and will help you find what you're looking for. Kyoko is also bilingual in Japanese. 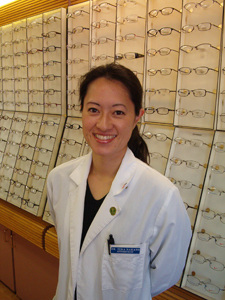 June has been with Shinmori Optometry since 2010, but has been in the optometry field since 2003. Having been an optician for quite some time, her specialties involve frame selection and lens materials such as plastic, polycarbonate, hi-index, trivex and glass. She is also great with repairing and adjusting glasses. Kathy has been our receptionist since 2012, but has been working in the optometry field for over 3 years as an optometric assistant. While gaining the knowledge of the anatomy of the eye, she earned a Paraoptometric Assistant Certificate (CPOA). Her other specialties involve contact lenses and contact lens trainings. She also speaks Vietnamese as her second language. Bill has an MBA in Operations Management from the University of Southern California. 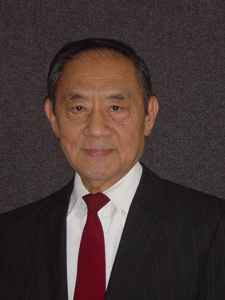 He is Dr. Shinmori's father and has been consultant to our practice since 1998. He assures all ophthalmic and computer related systems are current and functioning properly. He is also responsible to assure we are in full compliance with HIPAA.